What Makes a Good Biscuit Joiner? A Biscuit Joiner (Also known as a Plate Joiner) is a woodworking tool used to join two pieces of wood together. If you do not want to connect wood with screws, nails or bolts, then you need a biscuit joiner. This tool allows you to make the internal plunges that “hide” the joint and secures the wood pieces together. When you want to join two pieces of wood together you are often faced with the problem of being able to see the joiners on the outside of the wood. That is where a biscuit joiner comes in handy. A Biscuit joiner works by cutting a slot into the wood so that a little wooden piece known as a biscuit can be inserted into each side of the material securing the wood joint. Biscuits come in various sizes and are made of various materials in order to hold different types of material together. Another feature that a biscuit joiner often offers is a fence system which allows the user to make angled cuts. You can set the exact depth and make a plunge cut that will tightly fit the biscuit. Biscuit joiners are often used for furniture building, interior and exterior trim, door panels, table tops, furniture backs, face frames, deck planters, post wraps, and so forth. The biscuit joiner is a fast and simple way to join two pieces of wood safely and securely without using nails or screws. We evaluated 22 biscuit and plate joiners and after a thorough and extensive search, the biscuit joiner that stood above the rest was the Porter Cable 557. This tool has enough power to get the job done. It has exceptional plunge accuracy and is able to make a full range of depth stops to meet all your needs. The blades are fast and easy to switch on and off, and the lightweight design reduces fatigue. This machine has all of the necessary functions to make your woodworking projects come alive. A Biscuit joiner would be the perfect tool for anyone who works with wood professionally or recreationally. The versatility of the biscuit joiner gives the user a tool that can be widely used for making plunge cuts, creating inside joints that are required for top quality furniture, and other wood working projects. You can build picture frames, furniture, and other projects that require joints. By using a biscuit joiner you gain more secure joints and a more professional finish. When selecting a biscuit joiner, you do not want to focus on price. Less expensive models struggle with both comfort and accuracy. Precision is essential with this tool. Being off, even a centimeter, can result in a joint that is not secure. Given the nature of the biscuit joiner one of the most important aspects of this power tool is accuracy. Obtaining accuracy requires a comfortable grip so your hand does not slip. You also need accurate plunge measurements that are easy to read as well as fencing and levers that stay in place so that the wood does not move during the cut. When joining two pieces of wood together you will need them to be aligned exactly to ensure a proper joint. A center plate helps you align your material with accuracy. A center plate is the piece at the top of the blade that contains markings that show the exact center of the blade. Having this feature will guarantee that the cut you make will go precisely where you need it. Another feature you will want to look for is the fence. Fences offer the ability to align your machine with precision. The fence adjustments should be beyond 90 degrees to give you more flexibility so you can meet your project needs. You will need to be able to angle your machine properly to achieve the cut you need to make. This is beneficial for perpendicular joints, vertical joints, and horizontal joints. The fence will allow you to rotate the tool and secure the angle tightly for an accurate cut. Another important feature is blade size. Using the proper blade for the job will help ensure the plunge is exact. Tools with larger blades give you more options but can be more difficult to handle. Four-inch blades are the most common size and will enable you to make most cuts. Six and eight inch blades might be required for larger projects and professional woodworkers. For most homeowners and DIYers, the four-inch blade will give you the variety of cuts you need without requiring a larger tool. In the case of a biscuit joiner, a bigger motor is not always better. When making precision cuts a smaller motor will mean less weight which can lead to greater accuracy. The best quality biscuit joiners contain 5-7 amps and rotate at approximately 10,000 RPMs. This is a safe and powerful combination that when used properly will provide beautiful, clean results. We began by researching the features and qualities that professional and recreational wood workers looked for when using a top quality biscuit joiner. This allowed us to identify which aspects we considered a must have. Then we narrowed the search and begin testing. We evaluated models based on both quality construction as well as performance of tasks that would be common for the average person. We also studied tool guides and woodworking blogs to collect data on long term performance and company responsiveness to issues. We then looked to real world experiences and extensively searched customer reviews and expert advice to see which biscuit joiners held up. 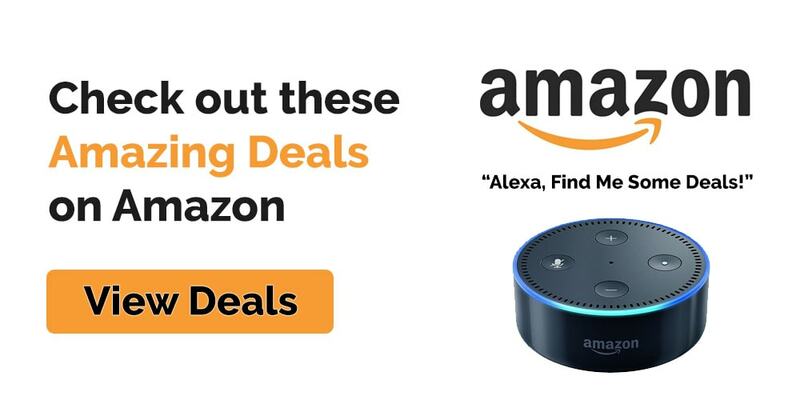 Lastly, we turned to Amazon reviews to get feedback from non-professionals and learn about their experiences with our top choices. 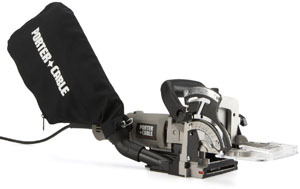 The Porter Cable 557 Biscuit Joiner has the ability to handle a variety of wood and offers not one, but seven different cutting settings. 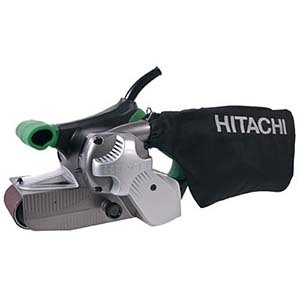 This tool contains apowerful motor with 7 amps and a rotating blade at 10,000 RPMs. One of the many great features this biscuit joiner has is that it contains a fence with the ability to tilt from 0 to 135 degree angles with positive adjustable stop at 90 degrees. This means you will be able to join material at any position you need with ease. It is designed to fit into tight spaces if needed, all with just the turn of a knob. Another valuable feature built into the fence design is that it is complete with a lock-on trigger and a pivot point that provides precise height readings as well as providing increased stabilization. The 4-inch blade also offers the option of using a smaller 2-inch blade for smaller precision cuts. This allows you to make both standard size cuts as well as small rivets for biscuits big and small. The Porter Cable 557 has a centering plate and spanner wrench. The centering plate stays in position for the most accurate cuts possible and ensures that your biscuits will be lined up exactly as you need them with every single cut. The spanner wrench allows you to cut thicker, deeper pieces of wood with ease. The unit also comes with a chip deflector and a dust bag for easier clean up. 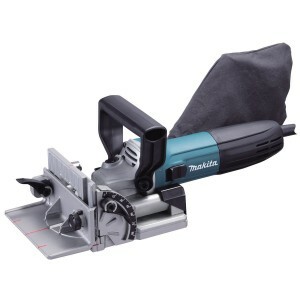 This joiner is both compact and lightweight. It only weighs 7.5 pounds which will enable you to hold the tool comfortably and keep a steady hand. A carrying case is also included. If you need more power and more features, then the Festool 574432 Domino Joiner DF 500 Q set is the best choice. 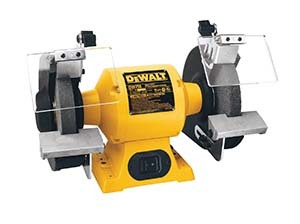 This unit has a unique cutting action that both rotates and oscillates given you perfect and clean cuts every time. The adjustments are made with the turn of a dial and the pivoting fence offers positive stops at 22.5, 45, and 67.5 degrees. The range is from 0 to 90 degrees. There are indexing pins to ensure accurate alignment. This tool takes the difficult process of making joints and makes it a cinch. Using a biscuit joiner requires attention to safety and proper maintenance to ensure it will provide you with long lasting use. Only use your biscuit joiner for the job that it was intended to do. Keep your hands away from all moving parts of your machine. Do not wear ties, jewelry, or loose clothing that might become caught in the tool. Ensure the blade is mounted in the biscuit joiner with the teeth pointing in the direction of the arrows on top of the housing. Never exceed the speed settings. Let the machine work without applying too much pressure. Clean your dust bag and the rest of your machine after each use. Always make sure your blades are sharp and replace as needed. Store your biscuit joiner in a cool dry place. Never leave your machine outside or in areas that may become wet. Lubricate the joiner based on the manufacturers recommendations. Biscuit Joiners are great tools to have for woodworking projects. They provide a professional finish and is one of the best and most secure ways to join together wood and other materials. These tools are simple to use and light weight for easy handling. They are compact and easy to store. They are also very portable and can be carried to the location you need rather than leaving it in the workshop. If you work with wood projects then a biscuit joiner can speed up your work and give you professional finishes immediately.